Just in time for the major start of the gardening season a couple of fabulous Canadian Gardening books came to my house. 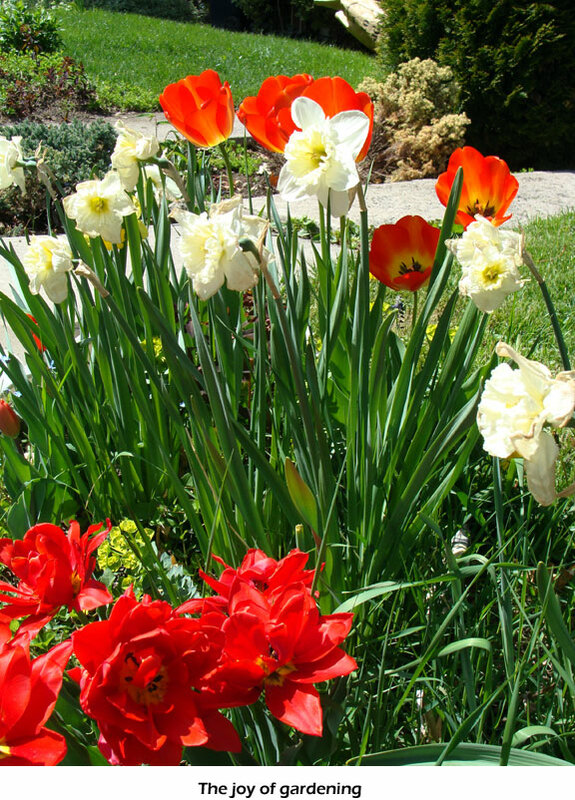 Published by Lone Pine Gardening they are colorful, concise and useful for Canadian gardeners. Having myself a stack of books of that genre I truly appreciate a reference that is geared to Canadian conditions only, like New Canadian Perennials for Canada by Don Williamson, who has over 20 such books to his credit. The publisher seems to have worked out a specific concept that works and is sticking to it, because here is another book of, you guessed it, New Annuals for Canada; this one written by talented Rob Sproule. The books are printed on nice and heavy paper so the many color photos come to full effect and create enthusiasm by just leafing through them. The list price is only $21.95, but if you go to Cosco you might find them at a much lower price: I did. I saw a whole stack of these lovely and practical books there and found there were other titles on the subject as well. I could not resist and picked up The Canadian Edible Garden and Herb Gardening for Canada for only $13.99 each. These two books are written by two ladies, Alison Beck and Laura Peters. They are done in the same fabulous easy to use style. Finally a series of concise gardening books for Canada. I highly recommend them. You will enjoy your garden a lot more, even if you are a novice gardener. Since so many people are now aware of the importance of eating well, growing your own food has become quite fashionable. If there are children in the household it might be a good way of introducing them to the concept of healthy food, where it comes from and how to prepare it at the same time. Come to think of it: they make a great Mother’s or Father’s Day gift too!